"`If you can'?" said Jesus. 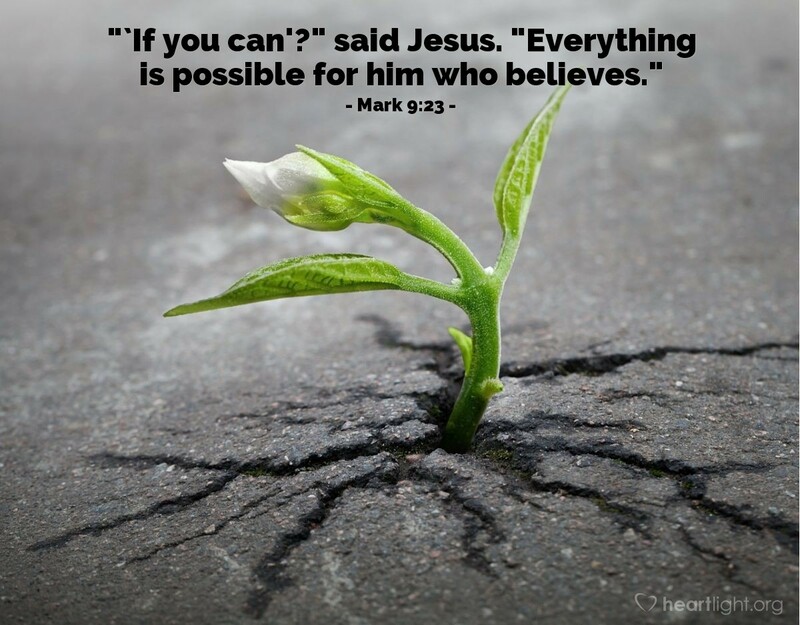 "Everything is possible for him who believes." Great Almighty God, Ruler of the nations, Creator of the universe, and Lord of all things, please forgive me. Forgive me for my wimpy and limited prayers. Forgive me for getting involved in petty quarrels over mundane and irrelevant things. Forgive me for my spiritual lack of vision. Please stir me by your Spirit. Please open my eyes so that I can see what you long to do through me. Please empower me to be a powerful witness to our world trapped in darkness. Please give me incredible dreams for your Kingdom, then astound me by doing far more than I ever imagined. In the name of Jesus, and to your glory, I pray. Amen.